If you want to buy my art find me on ebay. Posted on June 20, 2017 by Jaana Day. 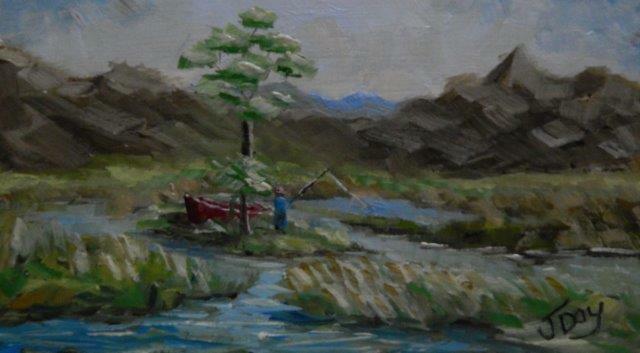 This entry was posted in Landscape and tagged Art, blue, brown, brush strokes, colourful, fishing, Genesis Heat Set Oils, green, gum trees, impressionism, impressionist, Inspired, lagoon, man, man fishing, Oils, Painting, red boat, reflections, sunlit, yellow. Bookmark the permalink.